A printer driver is a tiny program that allows your printer to communicate with your computer. improve both your computer and printer performance, etc. 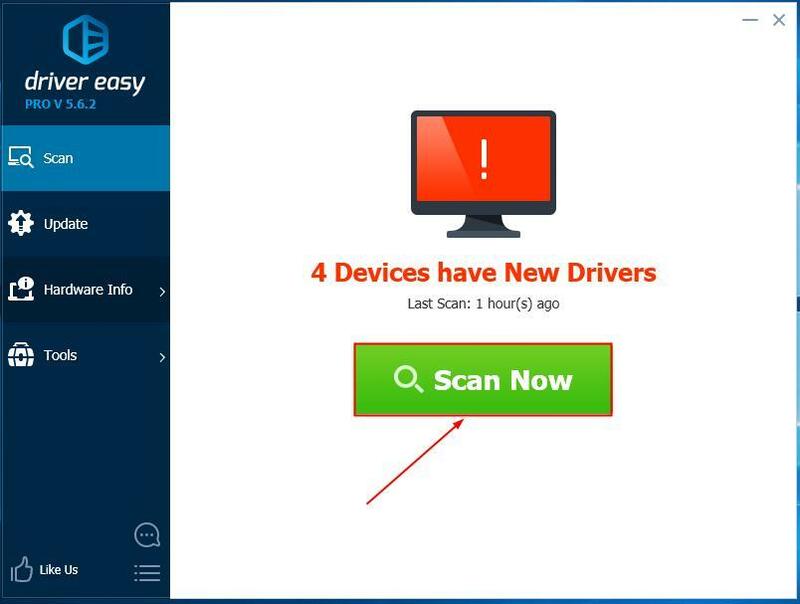 But if the driver for your printer is outdated/corrupt/wrong, it might cause further issues. it won’t even print at all, etc. then it’s probably time to update the driver for it. 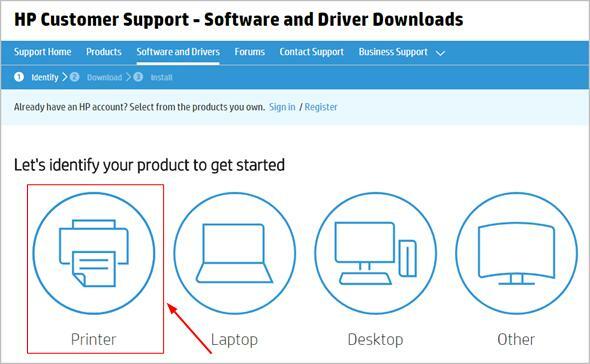 By updating our HP Officejet 4630 driver manually, I mean we go to the HP's official website, find out the latest & correct version, download the file and install it all on our own. It needs time, patience, and certain levels of computer skills. If you’re not comfortable playing with device drivers, or worrying about any risks in the process, jump to Method 2. 1) Go to HP Customer Support, click Pinter. 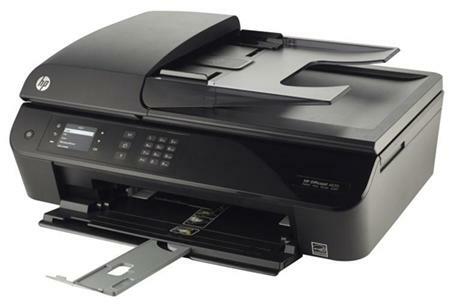 2) Copy & paste HP Officejet 4630 e-All-in-One Printer series into the box, then click Submit. 3) The website detects your variant of computer system(in my case, Windows 10, 64-bit). Click Download in the first result. 4) Double-click on the downloaded file to install your printer driver. 5) Restart your computer for the changes to take effect even if you're not asked to. 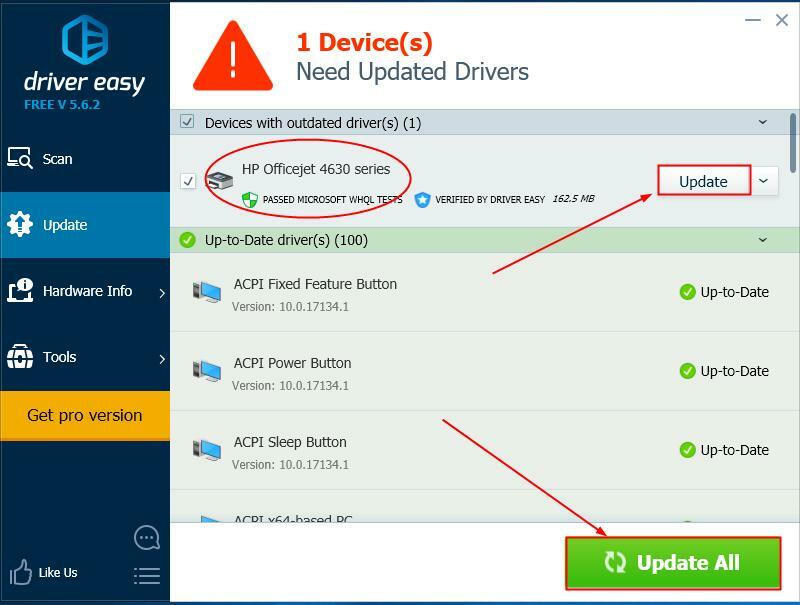 3) Click the Update button next to a flagged HP Officejet 4630 driver to automatically download and install the correct version of this driver (you can do this with the FREE version). 4) Restart your computer for the changes to take effect. 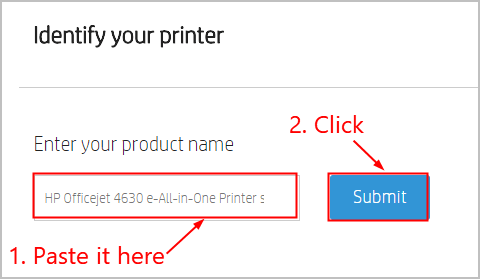 There you have it – manually and automatically update your HP Officejet 4630 driver. Hope this helps and feel free to comment below if you have any other further questions. ?